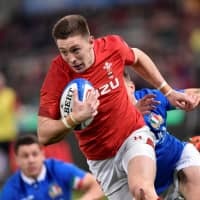 ROME - Wales equaled its own record for consecutive wins after overcoming a plucky Italy 26-15 in Six Nations rugby on Saturday. Italy scored the only try of the first half and only trailed 12-7 at halftime. Wales didn’t score a try until the 53rd minute and finished with only two. Italy also scored a second try, but it wasn’t enough to prevent Wales from an 11th successive victory, tying the Welsh record set 109 years ago. Wales coach Warren Gatland conceded his experimental side “got out of jail” against Italy. Gatland made 11 changes after the fortuitous win over France in Paris last weekend, trying to build experience in a Rugby World Cup year. Josh Adams and Owen Watkin touched down following the break with Dan Biggar laying the groundwork for victory with 14 of his side’s points. Italy’s two tries came from Braam Steyn and Edoardo Padovani. “We got out of jail. We weren’t as accurate as we could (be). We didn’t play that well but we’ll take a win and move on and start thinking about England. “We were looking at the bigger picture, we wanted to (give) everyone an opportunity to be involved in the first two games,” the New Zealander said. 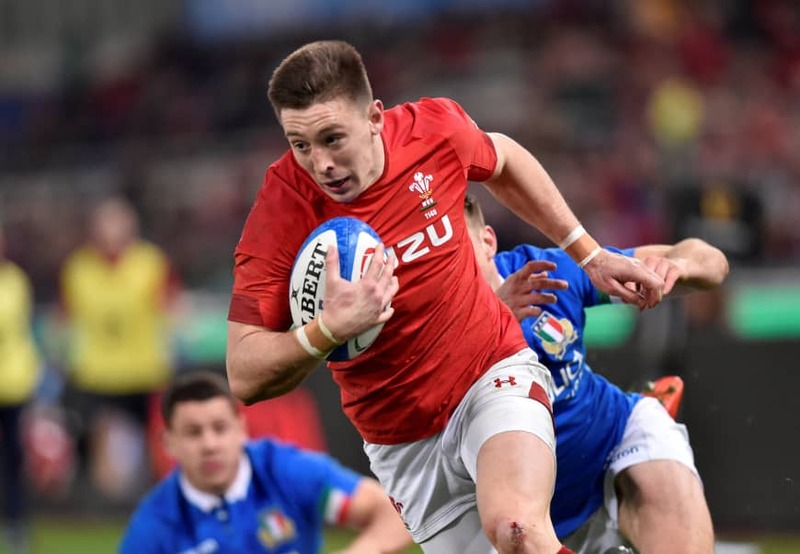 That Wales finished with its fewest points and tries in Rome in six years didn’t worry Gatland, who was far more satisfied with starting the championship with two wins away from home before returning to Cardiff to face title rival England in two weeks. In the day’s other match, in Edinburgh, Ireland got its campaign back on track with a pulsating 22-13 victory over Scotland. Scotland’s livewire fullback Stuart Hogg and Ireland’s flyhalf and world player of the year Jonathan Sexton each limped off in a close first half that ended with Ireland leading 12-10 after tries from Conor Murray and Jacob Stockdale. Ireland, beaten by England in the opening game last weekend, added a third try after the break as replacement flyhalf Joey Carbery sliced through a gap before flinging a wide pass for winger Keith Earls to score. While Scotland hammered away at the Irish defense on a cool, clear afternoon, the home side could not add to the try center Sam Johnson scored with 10 minutes left in the first half. Ireland captain Rory Best praised the strong performance of Carbery, who replaced Sexton and played an influential role during the second half after throwing the intercepted pass that led to the only Scottish try. “Joey is a quality player, you don’t want to see anyone go off injured, but it’s great to see everyone coming off the bench and stepping up,” he said. Scotland was disappointed not to have capitalized on a promising first half, with only a Greig Laidlaw penalty to show for its efforts after the break as handling errors constantly undermined some typically exuberant attacking play. Laidlaw, Scotland’s captain, expressed frustration with referee Romain Poite in a interview after the final whistle.